The Memorial Candle Program has been designed to help offset the costs associated with the hosting this Tribute Website in perpetuity. Through the lighting of a memorial candle, your thoughtful gesture will be recorded in the Book of Memories and the proceeds will go directly towards helping ensure that the family and friends of Mrs. Mary Shaen can continue to memorialize, re-visit, interact with each other and enhance this tribute for future generations. So sorry to hear of the passing your mother. We were babysitting at the time and missed the notice or this would have been done long ago.Mary was such a lovely lady and always had a smile on her face. Our thoughts are with you and yours at this very difficult time. Condolence: I was very sorry to see that your mom had passed away. I have such wonderful memories of both your parents and have thought of your mother often over the years. She was such a gracious person, always so kind and cheerful. She made you feel very welcome. I remember how she always wore her wool pencil skirts and sweaters with black pumps even when preparing dinner. I can still taste her boiled coconut white milk cake that she often made. She really was a wonderful person and I feel very fortunate for having met her. 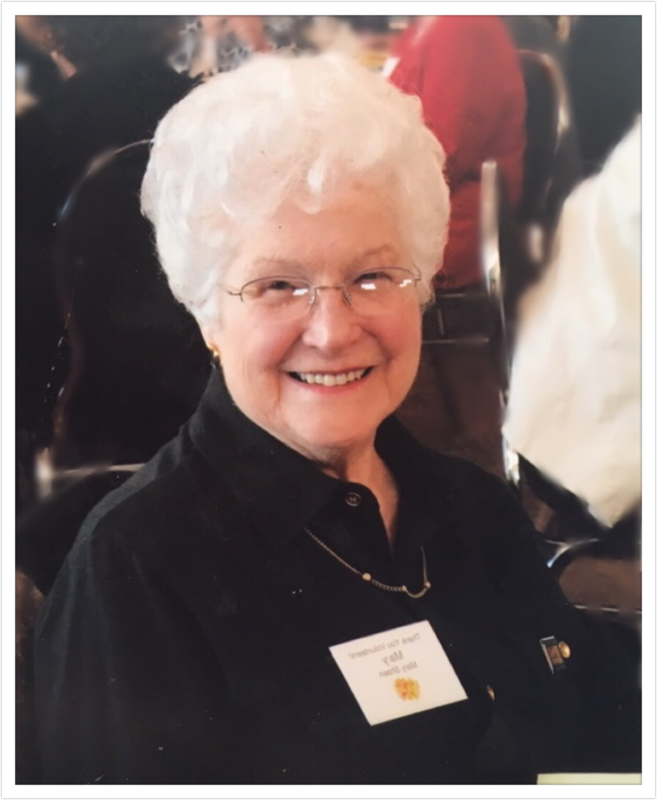 Aunt Mary will always be remembered as a happy, loving Aunt. I'll miss her. She was one of the most selfless people I know. I'll never forget her laugh and kind words, always. She always put others needs ahead of herself. Christmas was always special, she made the best peanut brittle and made family dinners special. Take care, thinking of you all. Condolence: To Margie, Jim & Deborah: Heartfelt condolences go out to each of you and your families; Remembering your Mom~Kind and thoughtful; her home-made delicious Christmas cookies she sent over for our family to share; ~ It was nice being neighbors, on Ridgeway Street.Your Mom lived an inspiring and meaningful Life.Keep your happiest memories close to your Heart where you can find her comfort when it is most needed. I am so sorry to read about your Mom's passing . She was a wonderful woman , so many memories of " our " teenage years Debbie ! Just seems like yesterday .